PAS vice president Mahfuz Omar was one of the PKR leaders who turned up for 325 meetup in Kajang New Era College on March 25. The appearance of Mahfuz Omar at 325 protest rally indicates that PAS supports the education right of Chinese community. Facts speak louder than words, PAS and Chinese are vastly close related. All threats and intimidations affecting the harmony of PAS and Chinese will totally in vain. MCA President Chua Soi Lek claimed himself as representative of Chinese community, prohibited his party members to participate the "Save Chinese Education Rally". 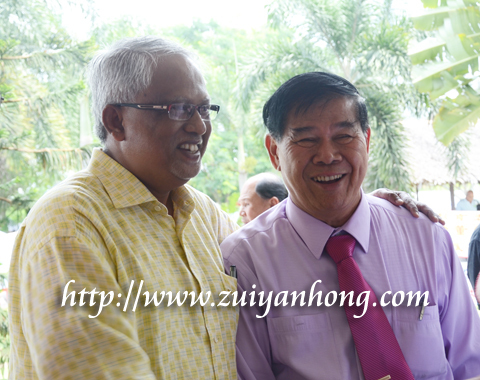 The malicious intention of Chua Soi Lek to marginalize SJKC was significantly exposed. Deputy Minister of Education Wee Ka Siong clarified that he had the approval from Prime Minister Najib Razak and Deputy Prime Minister Muhyiddin Yassin to attend 325 rally. This revealed MCA is truly a parasite of UMNO.